IAKI has devised an extended and product-oriented Social Media Marketing Strategy for BT Italia, Italy’s leading supplier of integrated communications and IT solutions and services, to strengthen the brand’s positioning and awareness. Sandro Marchetti, CEO of IAKI, tells us how it went. What was the customer’s initial aim? BT Italia, a subsidiary of British Telecom, has a long-standing experience in the supply and management of communication services to large companies, small and medium enterprises and the public sector through a wide range of innovative, highly professional services offering top levels of quality and reliability. For this reason it must maintain its reputation high and listen to the net very carefully, in order to keep pace with the market. The customer’s initial aim, therefore, focused mainly on this kind of insight. That IAKI was the right place to turn to! – Sandro smiles – IAKI specialises in communicating with people and knows perfectly well that communication now takes place in social places, shared digital spaces that can be reached at all times and with an audience of a previously unimaginable scale. The communication aim of brands has by no means changed, also when talking to SMEs, to the B2B sector. Spreading the message, being remembered, convincing, stimulating a particular behaviour: these were the main aims of BT Italia. We at IAKI had to keep in mind the communication recipients: Small and Medium Enterprises. IAKI’s solution was to create a Social Media Marketing project for the B2B sector. Social Media Marketing for B2B: what was the upshot? First of all we defined a Social Media Strategy that takes into account market segmentation, expectations and the demand for specialisation and in-depth knowledge. These are key factors of the B2B industry that influenced our Social Media Marketing strategy. Next, we started communicating! What communication channels did you set up? On behalf of BT Italia, IAKI created all the social profiles required to meet the customer’s objectives, as well as a minisite. 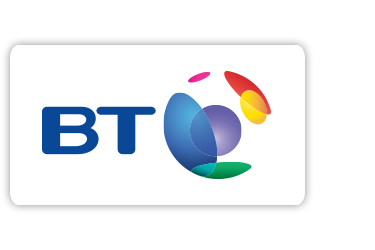 In this way, IAKI set out to fuel and stimulate the digital identity of BT Italia.